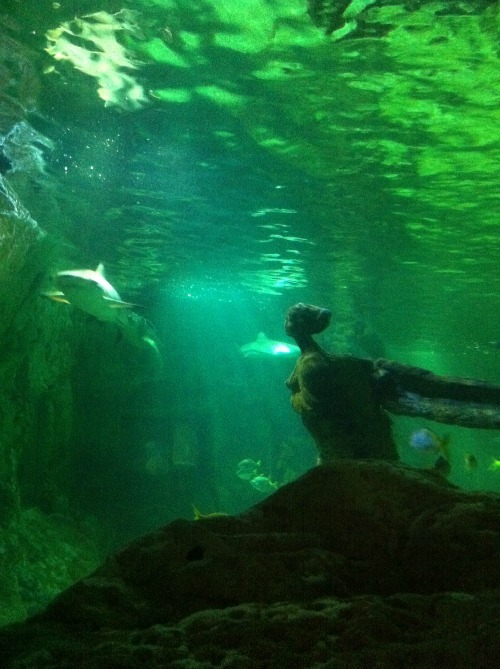 Last night we took a step back in time as were invited along to Brighton’s Sea Life Centre to get a preview look at its new dinosaur-based Jurassic Seas exhibition. Nestled within sight of Brighton Pier, the centre is the world’s oldest operating aquarium and shares a designer with Brighton’s now ruined West Pier. Luckily it’s pretty robust and shows no sign of falling into the sea (not that the inhabitants would mind). 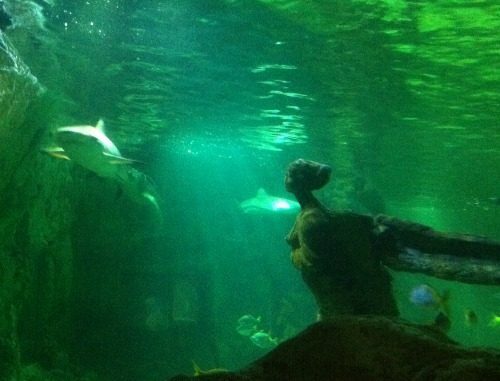 The Sea Life Centre’s charm endures as a multi-million pound refurbishment has stayed sensitive to the 140 year old atmosphere, whilst bringing the exhibits into the 21st century. And nowhere is this more evident than in the new dinosaur exhibit, which harnesses cutting edge technology as used by Pixar with some really, really old stuff. Like, even older than me, and I’m ancient. 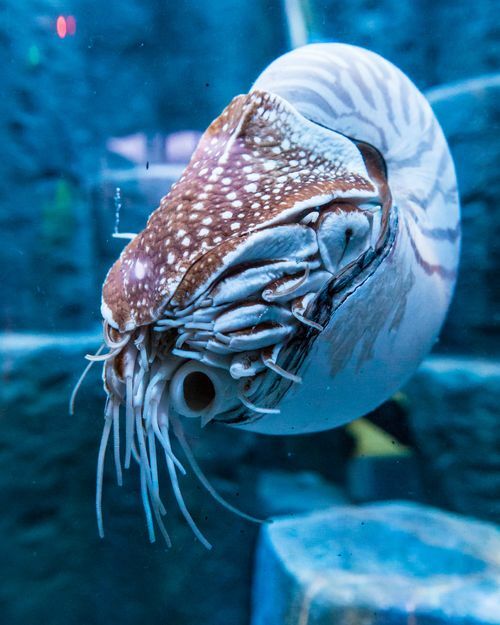 It showcases unusual creatures from the Jurassic period which are still around today, such as this Giant Nautilus. The underlying educational message is that we have to look after creatures like this if we don’t want them to go the way of the dinosaurs. 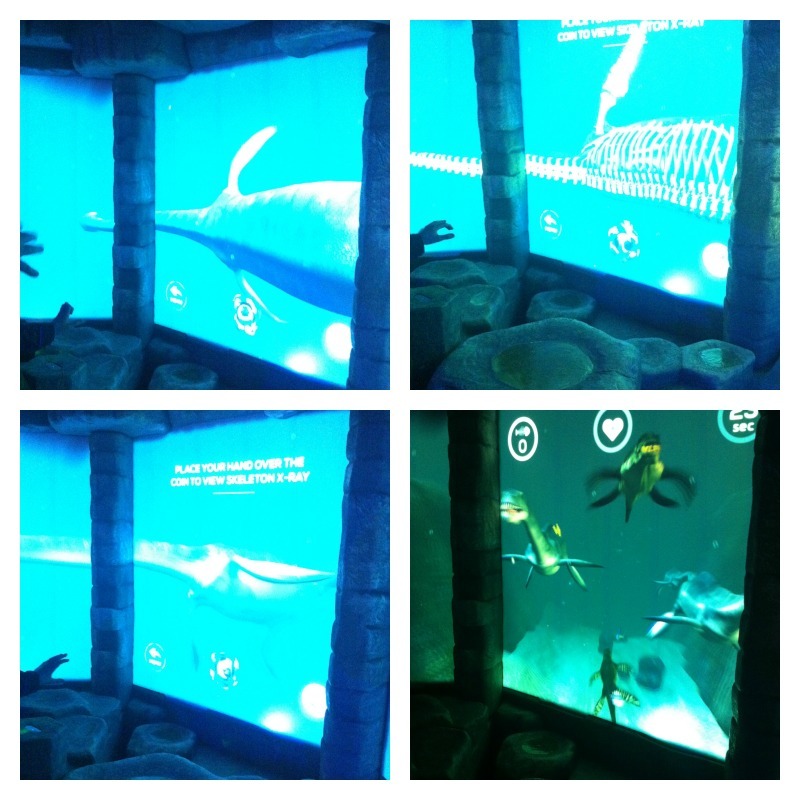 But the biggest talking point of Jurassic Seas has to be the triple-screened digital dinosaur interactive display. 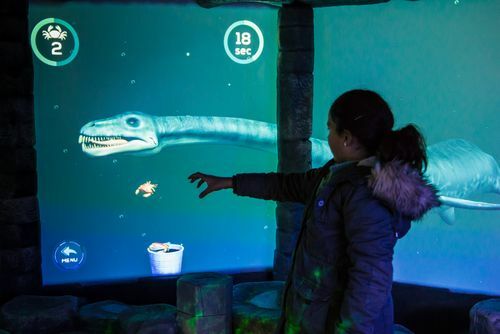 Powered in a similar way to the XBox Kinect, with hand movements, visitors can play games and control the lifelike dinosaurs which appear to swim on the screens in front of them. My son and friend loved the games. If anything I could see this feature being a victim of its own success, so get there early if you want to get a turn. The whole Jurassic Seas area is quite small but packed with lots to see and touch screen interactive displays with more information about the creatures on display. I think any dinosaur fan who likes a spot of gaming is going to love this – just make sure you turn up early to beat the queues. 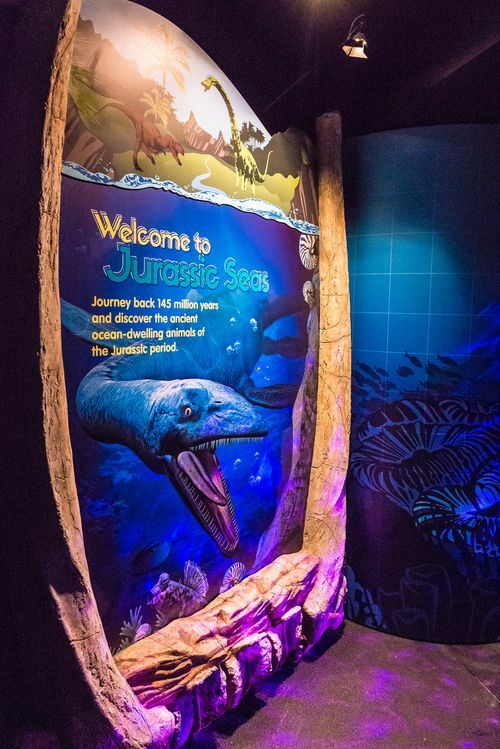 Jurassic Seas opens at Sea Life Brighton (opposite Brighton Pier) on Friday 13th February 2015. Tickets priced from £9.95, under threes go free. Paid on street parking is nearby. 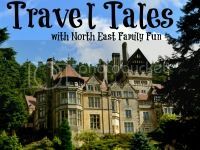 As well as the digital dinosaur exhibit, there are giant turtles, an underwater viewing tunnel and masses more to see and do – plan for around a two hour visit.